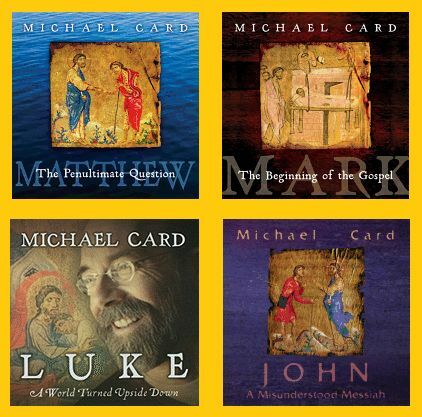 After reading Mark: The Gospel of Passion, I really trust that a generation or two down the road, when people have moved on past Michael Card’s music, this set of four commentaries on the gospels by the veteran Christian musician will still be read and enjoyed. Full disclosure: I obviously haven’t read the entire series of four books, but I believe Mark to be representative of all four of the Biblical Imagination series, published over the course of four years by IVP (InterVarsity Press). The format is somewhat reminiscent of the Daily Study Bible series by William Barclay. 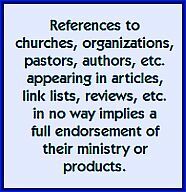 In the case of Mark, there are sixteen chapters and most have at least three subsections, while a few have at least double that. So reading devotionally each subsection a la Barclay, this would give you 63 days of reading, excluding four introductory sections. But reading an entire chapter at once is most rewarding. 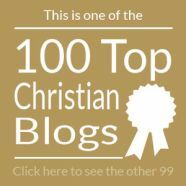 While Card acknowledges one place where the chapter division is rather awkward, he does manage to find beauty in the way Mark arranges his stories from the life of Christ. In chapter five he notes three people are held captive, “one by demons, one by disease and one by death.” In chapter ten, four questions that are put to him by various individuals or groups. And there are some recurring themes, such as the imagery of bread. Some of this is standard commentary fare, but then this is where the “imagination” part of the series title kicks in and where the heart of Michael Card, the artist, is most evident. 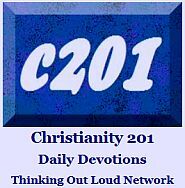 For a sample of this, click to this excerpt from the story of The Transfiguration, which I posted yesterday at C201. The other option is to read the books — and keep them on your bookshelf — as commentaries. It’s in the fulfillment of that objective that I find the enduring quality of his writing. I was struck by the readability and practicality of Michael Card’s approach. He goes deep in many places, but it doesn’t frustrate or intimidate the reader, and in the case of Mark, like Mark himself, he moves quickly from scene to scene. Do I have any complaints? Only that having the one book and CD is causing me to covet the rest of the series! Books and CDs were provided to me by the Canadian distributor for InterVarsity Press (IVP) who know where they can send the remaining titles if they so choose!